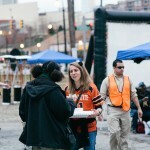 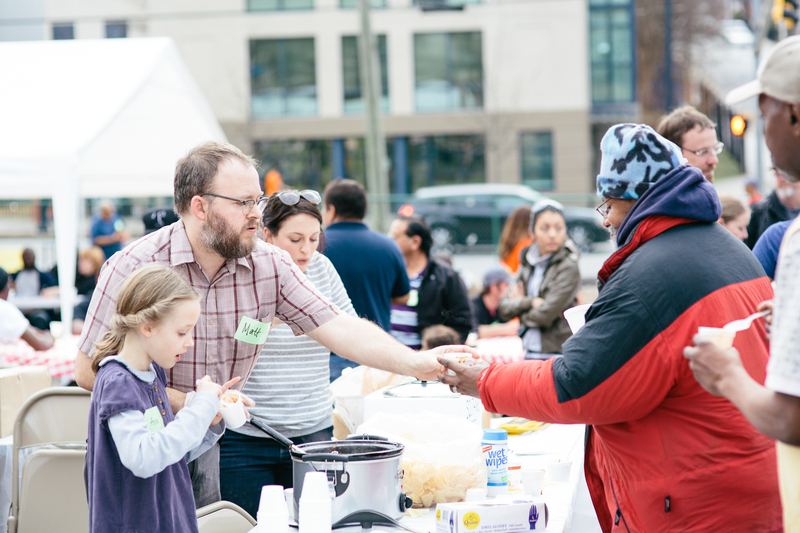 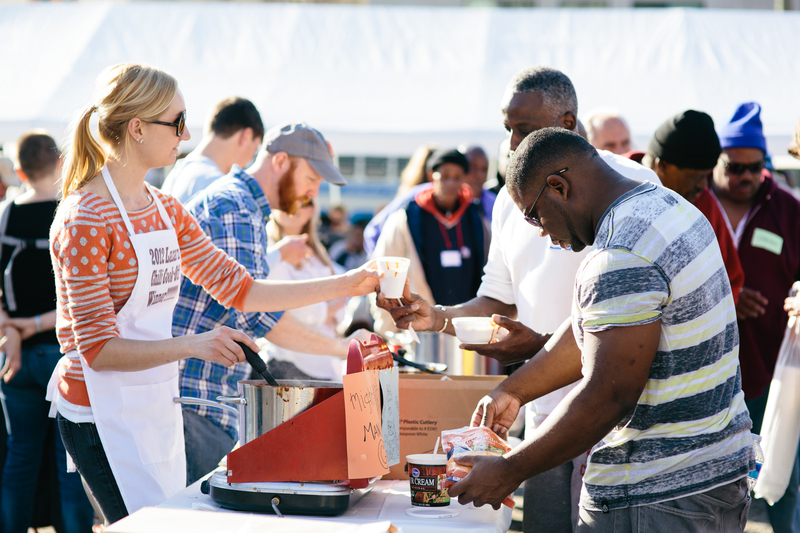 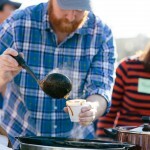 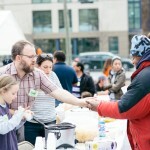 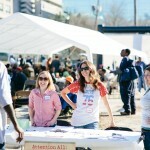 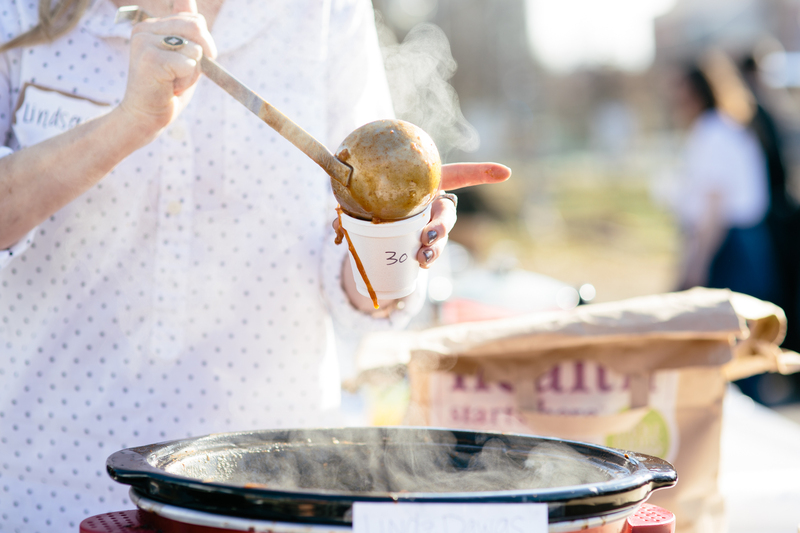 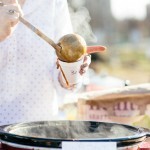 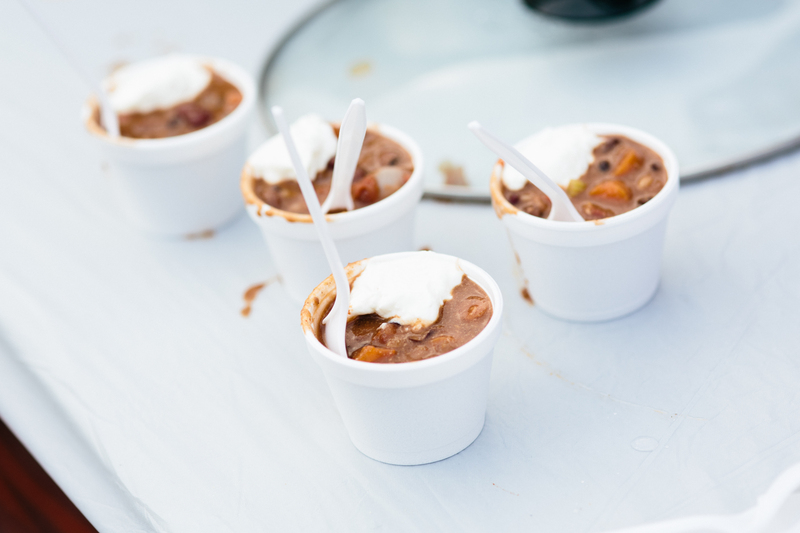 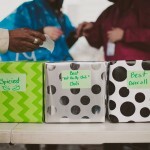 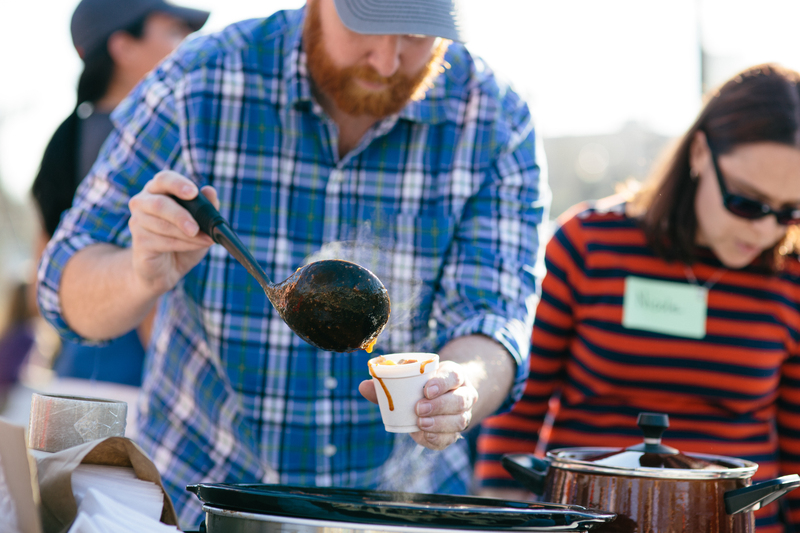 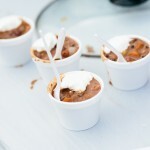 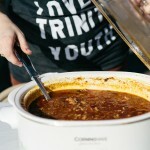 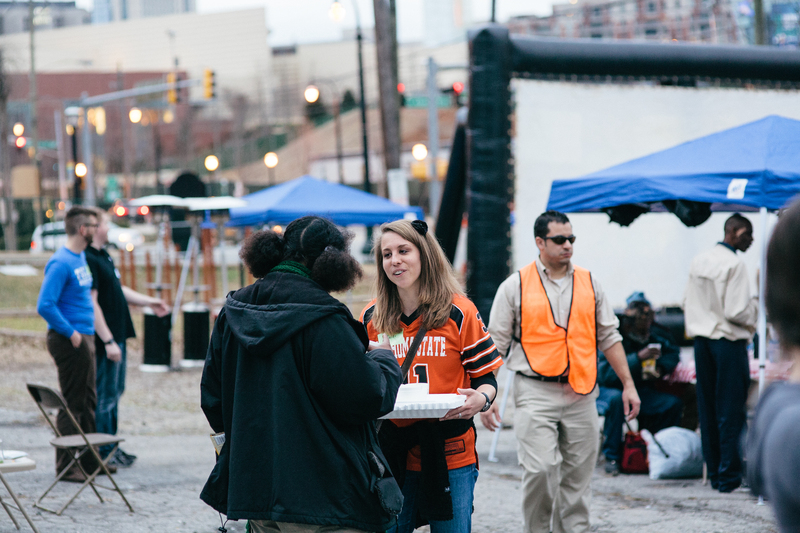 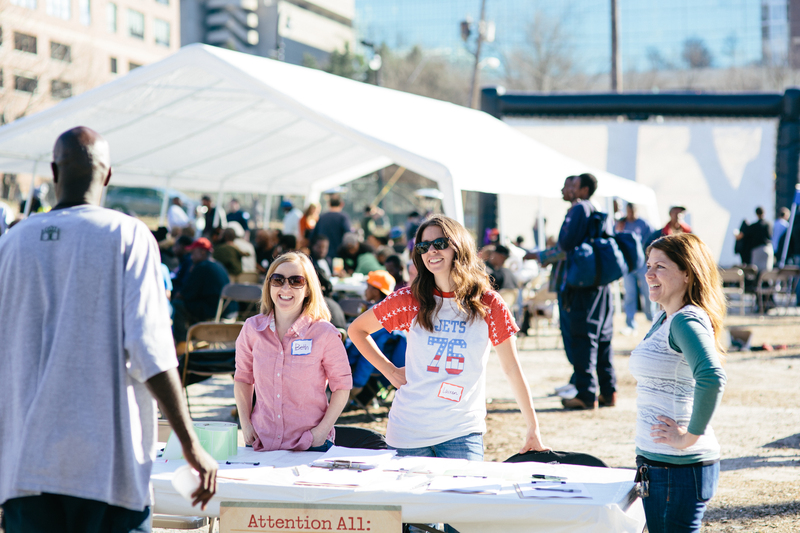 The annual Lazarus Super Bowl Party began with a few volunteers serving chili and projecting the Super Bowl on a tarp in a private parking lot off Pryor Street. 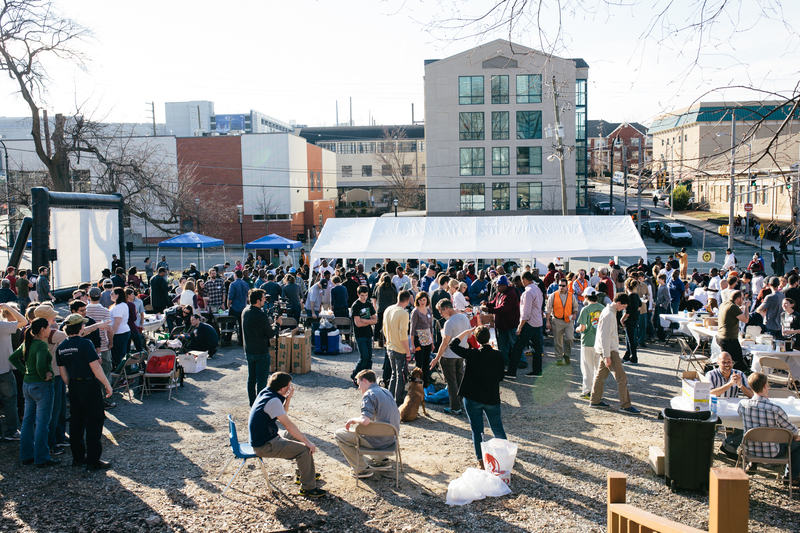 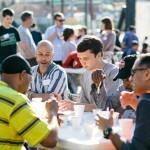 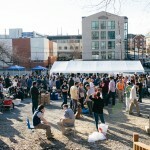 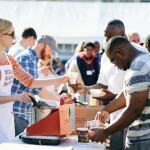 From this humble beginning, it progressed into a highly anticipated and widely attended event. 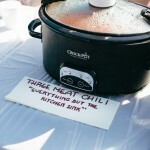 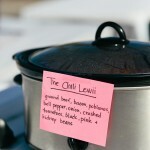 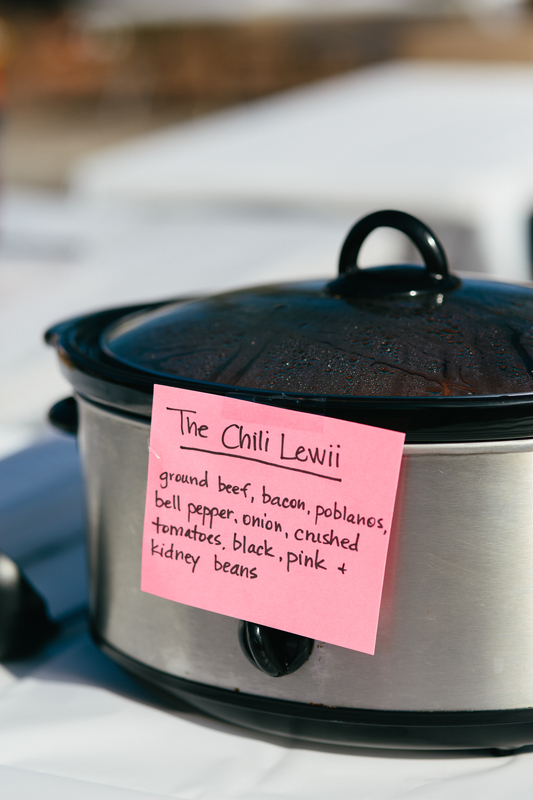 For a number of years now, we have combined watching the Super Bowl with a competitive chili cook-off. 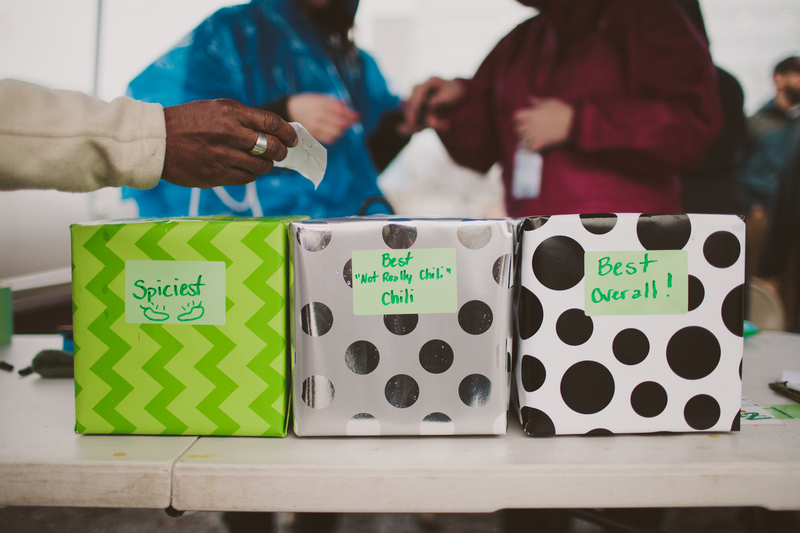 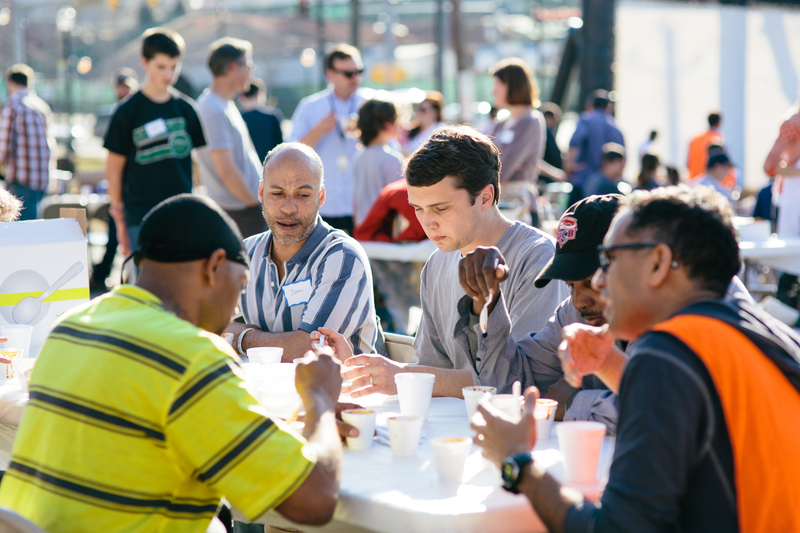 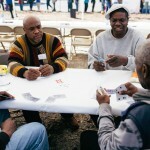 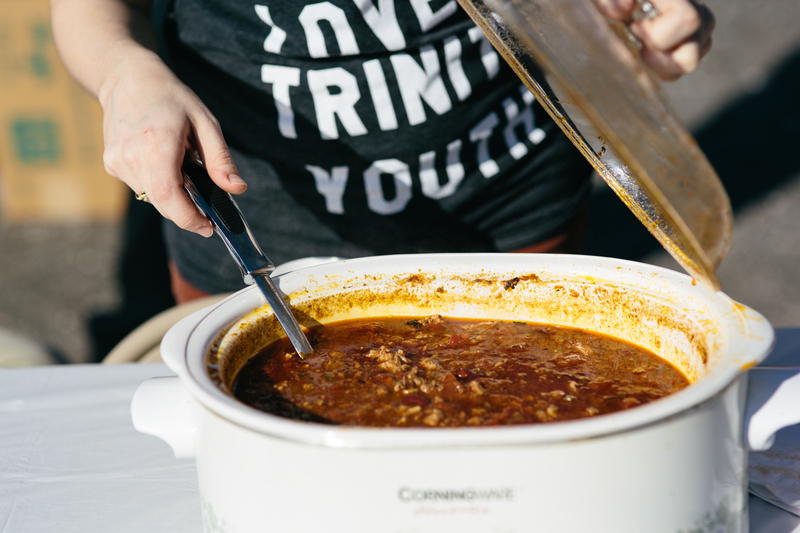 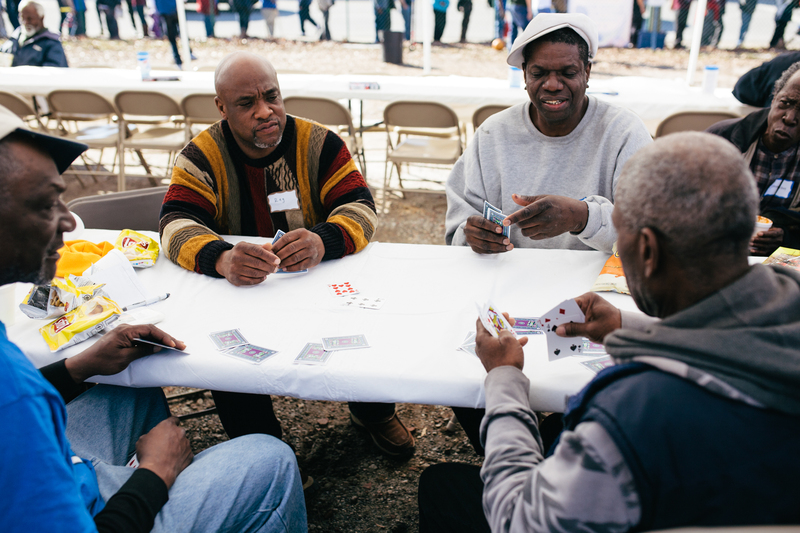 What better way to watch the big game than outside with our homeless brothers and sisters and competing to see who can make the best chili? 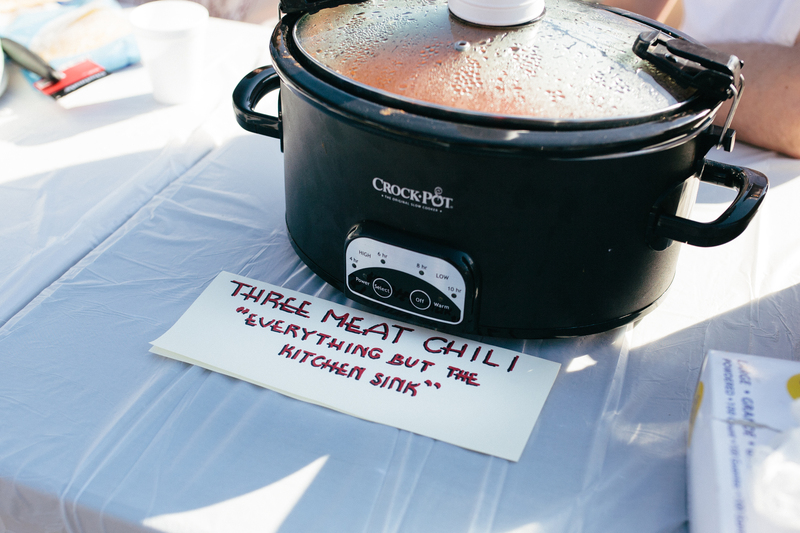 We have fun, watch the Super Bowl, & feast on delicious chili until there is one cook left standing above the rest.